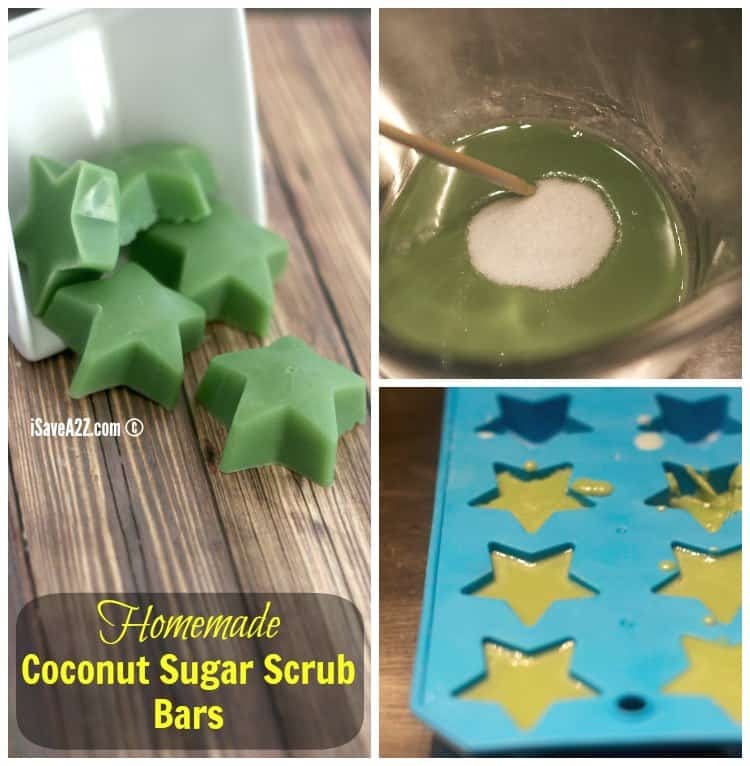 You have got to check out these Easy Homemade Coconut Sugar Scrub Bars we made! Not only do they smell amazing but they make your skin feel so soft. With just a few ingredients you can make this fun and simple diy project of your own. We used a Star Silicone Mold but you can use any silicone shape mold you want. These would make super cute gift ideas too. Just imagine them in a mason jar with a label and ribbon or maybe stacked in a row in a neat burlap baggie with a cute ribbon too. The possibilities are endless when it comes to gift giving ideas! TIP: If your sugar and soap mixture gets to thick, microwave on 10 second bursts until you are able to pour. Viola! You’re done! Easy DIY! Our readers have shown us a great deal of love for our Homemade Sugar Scrub recipe that’s just like Mary Kay Satin Hands so we thought you make like a few more recipes along those same lines. We love our sugar scrubs! 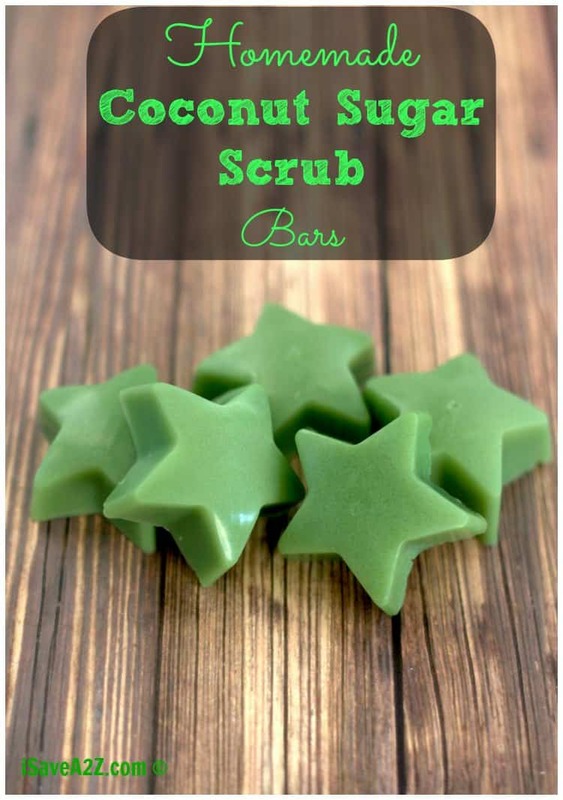 Here are a few other Sugar Scrub recipes that you may be interested in if you like this one! By Jennifer on January 15, 2017 Crafts. I’ve made it with grated up soap and it doesn’t work that well. It doesn’t melt so your left with grated bits in your scrub bar and it causes it to crumble very very easily. Just finished making a batch with melt and pour soap and it worked much better. I was wondering the same thing as Melinda….please reply if it would work….cause I have a girls night in planned and would love to give these to my girls…. 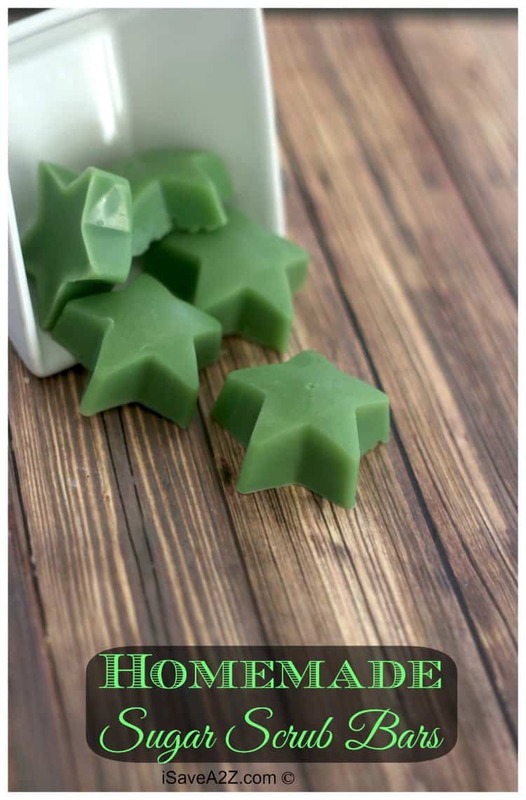 Wondering if grating up some soap I already have would work, as I dont have any melt and pour soap base. These would be great for my hubby who works on his jeep allll the time and gets his hands pretty grubby!